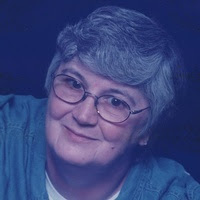 Deanna Carol Jones, 73, Commerce passed away on Tuesday, November 27, 2018, in Commerce. Mrs. Jones was born September 13, 1945 in St. Joseph, Missouri, she was the daughter of Opal Louise Giffin and John Ryburn Beattie. She was married to Olen Gene Jones. Deanna worked in the medical field at Sherwood Medical. She is survived by her husband, Gene, two daughters: Jonna F. Swindler of Commerce, and R. Christine Heid of Bismarck, North Dakota, and a son: Randall T. Swindler of Agency, Missouri; seven grandchildren: Kayla Lauer of Colorado, Joshua Swindler (Leah) of Missouri, Casey Swindler (Taylor) of Missouri, Kelsey Heid of North Dakota, Daniel Swindler of Missouri, and Gabe Swindler of Missouri and Hannah Swindler of Missouri; and a great granddaughter Emma. Survivors also include two sisters: Katherine Carrel (Wayne) of Union Star, Missouri, and Helen Horton (Dennis) of Golden City, Missouri. She was preceded in death her parents, a brother Sherrill Beattie, a nephew Jeff Beattie and her mother-in-law, Bonnie Dalton and sister-in-law, Bonnie Sue Mohen. A memorial service will be held on Sunday, December 2, 2018, at 2:00 P.M. in the Jones-Walker & Son Funeral Home of Commerce, with Bro. Terry Bryan officiating.